sailboat. : Come and meet my new love! Come and meet my new love! After umm-ing and ahh-ing for ages, going on & on about it, and asking all you lovelies your opinions I finally decided to purchase the bag. Yes that does mean you won't have to listen to me go on & on anymore, well, after this post! I had a little bit of Easter money left over from my Grandparents and I didn't want to fritter it away on boring every day things because that's no fun! I think it was the 15% off code I found and free delivery that finally swayed me! 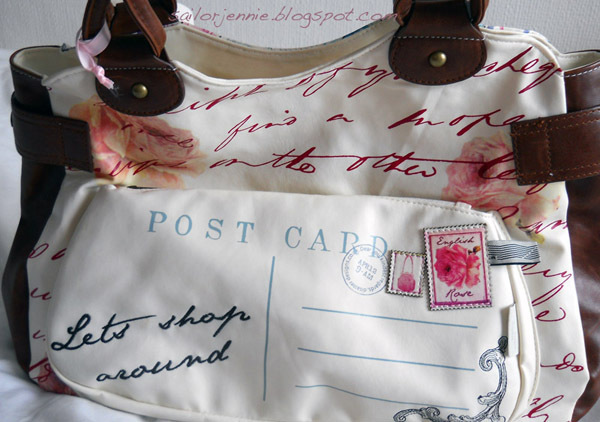 Plus I think it's absolutely gorgeous & what I would call my first 'proper' bag! The back of the bag has this pretty vintage stamp design that's full of gorgeous spring & summer colours. I'm pretty much in love with it, can you tell? The reason I say it's my first 'proper' bag is because it's the first bag I've ever had that's been this well made with as much lovely detail. 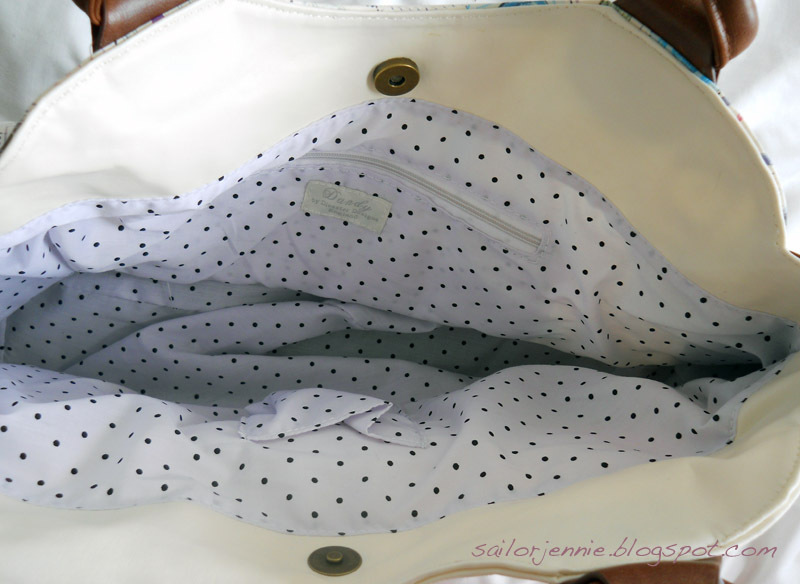 The lining is black polka dot & there's a zip pocket and a place for a mobile phone. I think I paid about £37 with the 15% discount from Uttamdirect.com that also has so many pretty items. So, it wasn't expensive at all and I love it so much! So unique, ive never seen anything like this! oh my goodness, i'm jealous!! @Caz - I agree, I love it! I love this bag!! It's sooo lovely!! @claire - thank you! i definitely didn't want to waste my easter money. @eleanor - hehe thank youu! @dreams that glitter - gotta love a discount code hehe! @laura - thank you! me too!! loverrrly! 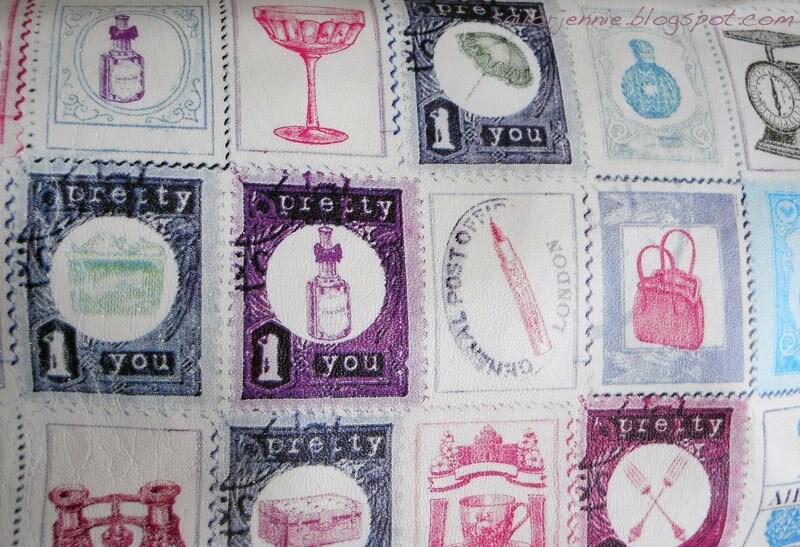 I love the stamp design and the lining. @tennille - hehe thank you beautiful! @swiftreverie - i agree, it's super cute! @ladybugsays - thank you lovely, me too hehe! @simply naturale - thank you! @alice - it's so pretty! @nic - haha yayy! i think people were starting to get annoyed with my blabbing! @daisy - you should totally get one, it's so your style! 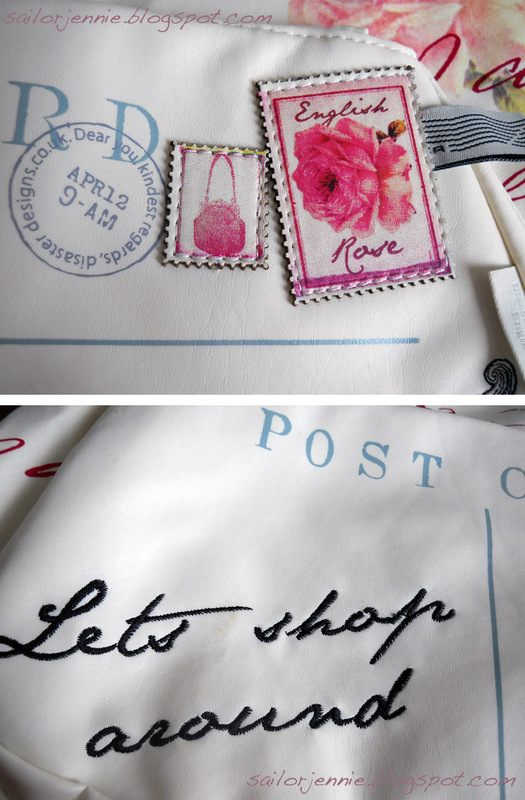 So glad you love our bag - we're really proud of it and it was great fun to design. Thanks for the kind blog post - your blog is great and a pleasure to read. If you love our clothes, make sure you check out our online sale this weekend only - 15 of our dresses at £15! Crazy I know, we're expecting to sell out so get in there quick peeps! Check out uttamdirect.com for more info. It really is very pretty and worth the money. Tiny asos loot & my face of yesterday! Review: Neal's Yard Power Berry Daily Moisture. Tag: I like. I love. I hate.